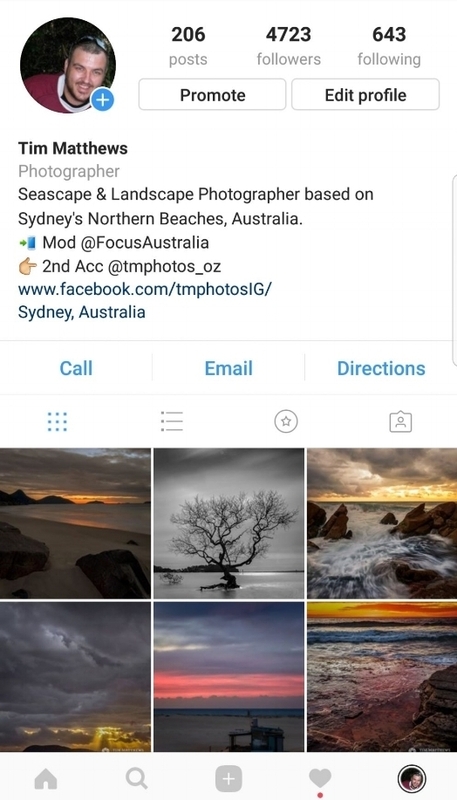 A question I get asked a lot from people just starting out on Instagram & Photography is how you get your images from your PC to your phone to post on Instagram! You are going to need to use a cloud storage program like Dropbox, Google Drive or One drive. I personally use Google drive. You will need to install your preferred program onto your computer. You could use Lightroom and sync with Lightroom mobile but I will explain why I don’t use Lightroom mobile a little later. You will need to decide if you want your image to be landscape, square or Vertical (portrait) sometimes it depends solely on the image itself. I prefer Vertical as this fills the screen on Instagram a little more than square and a lot more the landscape. Landscape Images – Aspect ratio – 2:3 – Resolution of 720 x 1080px. As you can see below, the Vertical image fills the screen better than square and landscape. Now that you have finished your edit and decided what crop you are going with its time to export your image to your chosen cloud programme. Right-click on your finished image and choose export you should get a dialogue box pop up like this one. In the top box make sure it has export to Hard Drive. Below are my export setting for Vertical images fill free to copy them over to your own. I also have the same for Square and Landscape images with the only difference being the image sizing. You will notice that I use a watermark this is why I don’t use Lightroom mobile as there is no option for adding a watermark yet. Now on your phone open your app and save the image to your camera roll and post to Instagram! If you have any question please fill free to leave them in the comments below and I will get back to you!